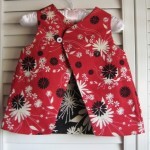 The Eco Chic has an Etsy Shop! I’m a little excited – last night I finally did it – I opened my very own Etsy shop! 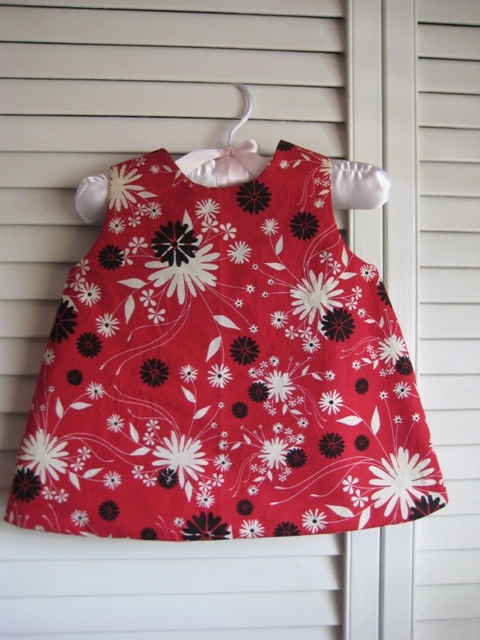 Right now there is one lonely little dress waiting for the perfect home – but more items will be added soon. 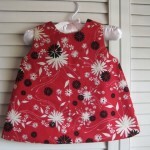 I have 6 more dresses on the sewing machine right now waiting for me to get sewing! 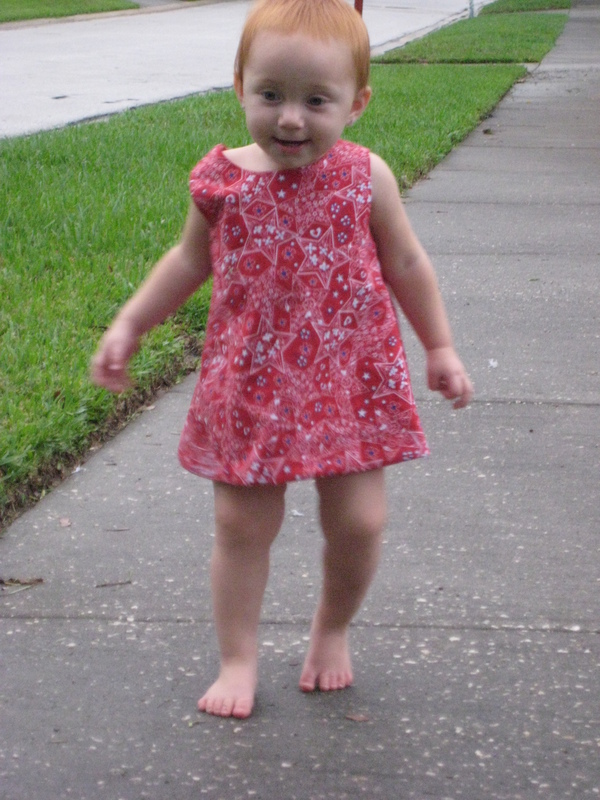 You may have seen the dress before – my little one has been spotted in this open backed, reversable, a-line dress before on here. 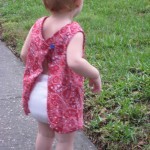 The peak-a-boo back is perfect for showing off that cute cloth diaper! 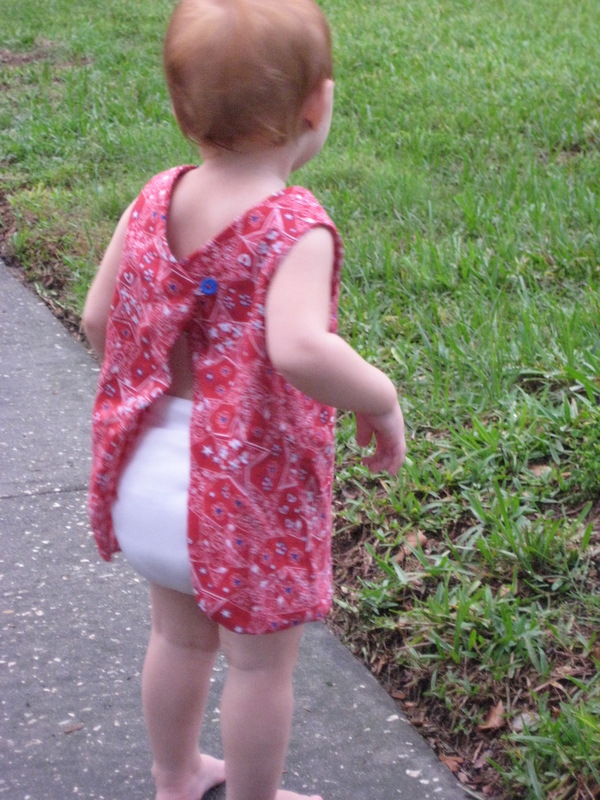 The patterns vary and I try to coordinate the colors to match the popular cloth diaper colors. 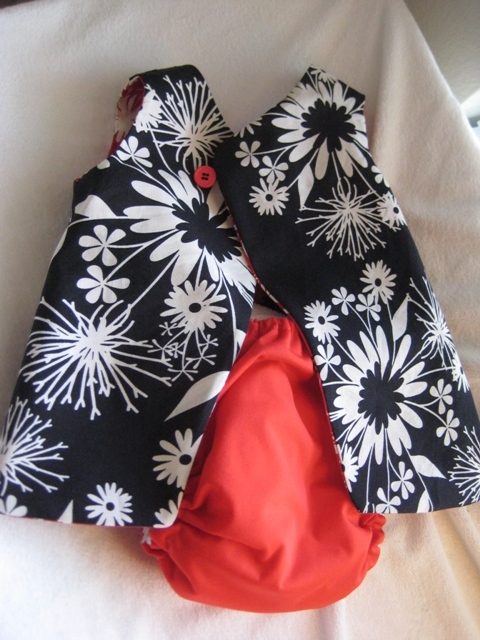 Here are pictures of my first listing on Etsy – available in newborn (0-3 month) size. 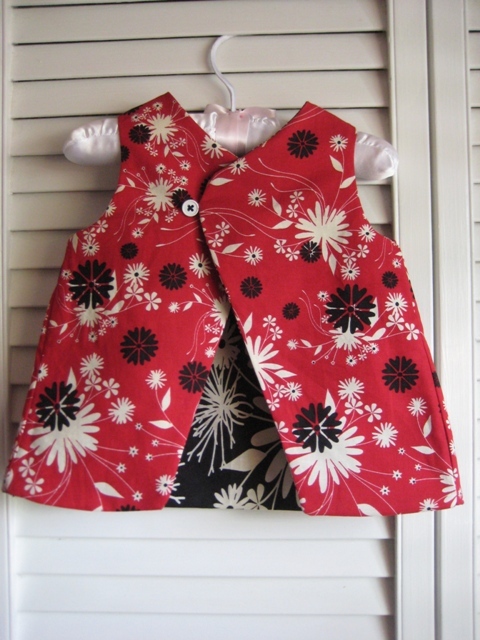 I know you may not all have newborns so don’t worry – more sizes are coming soon! 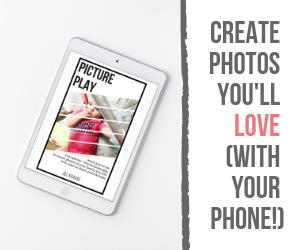 AND – I take custom orders too! 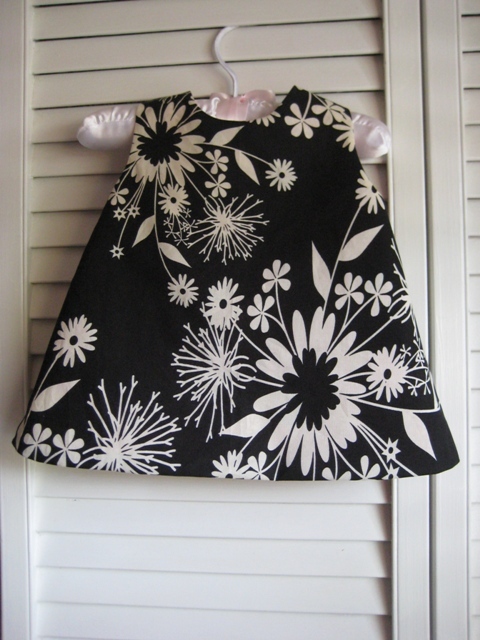 Just send me a conversation on Etsy and we’ll find the perfect pattern and size for your little darling. 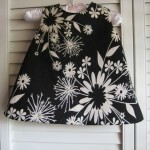 This dress is available from newborn all the way to 24 months – and I’m working on a larger pattern too! The last images are our prototypes that Lil’ B is enjoying. Absolutely ADORABLE! 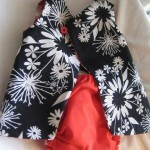 Love that you can show off the fluffy bum, and I love that it's reversible! I made your shop a favorite, but when I went to the “who hearts this shop” I didn't show up. I heart your etsy shop! Such a cute dress!